Even with the best care available, lawns can thin out and lose color due to excessive thatch buildup, too much foot traffic or pet traffic through specific areas that create hard or compacted soils, or periods of high temperature, high humidity, or drought. Turf experts such as golf course superintendents recognize Aerating and Over seeding as the best treatment to control thatch, helps reduce those compacted areas, fills in bare spots and revitalize growth. An aeration treatment removes small cores of soil and thatch to allow air, moisture and nutrients to penetrate down to the root zone. The cores brought to the surface contain microorganisms, which help the breakdown of the woody thatch tissue layer just below the lawn's crown. As the thatch layer is broken down, it is converted into organic matter that will then combine with existing soil particles. When's the best time to aerate? The fall and spring are the best times to aerate. 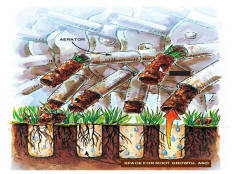 In the fall you want to aerate between September and November. 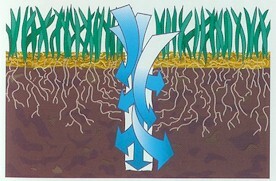 In spring, aerate between March and May. 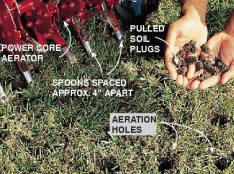 Most lawns benefit from annual aeration.